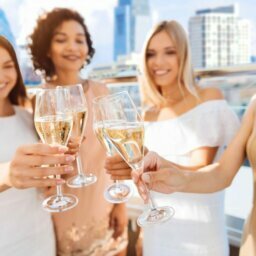 Over the years, we’ve had a lot of wonderful people take up residence here at Dockside, including more than a few local Philly celebrities, from sports stars to radio personalities… and even some of our city’s favorite cheesesteak kings. Now, we’re pleased to announce that one of Philadelphia’s most popular and beloved restauranteurs and personalities is working with us as a Dockside spokesperson and ambassador: none other than Tony Luke Jr.
Tony is a South Philly native known for the world-famous Tony Luke’s restaurants. He has been a Dockside resident for a number of years… and he’s already one of our most ardent public ambassadors for this place that he calls home and that he loves so much. 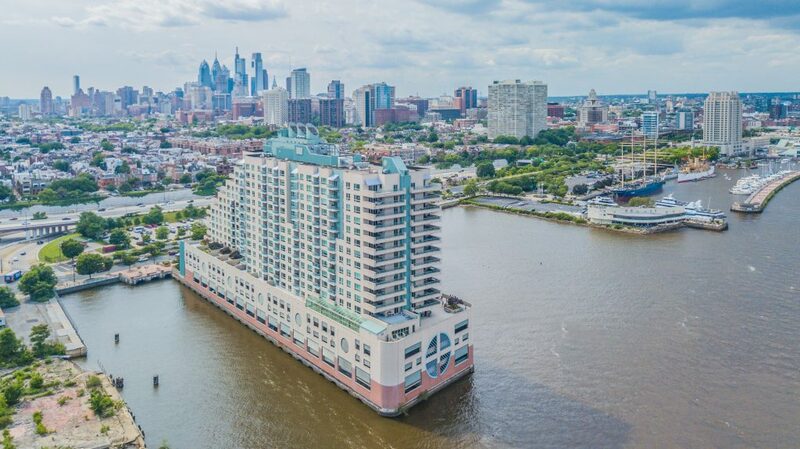 As part of our partnership with Tony Luke Jr, he’s launched a brand-new video show which he is recording right here at Dockside, from his very own terrace overlooking the Delaware River! 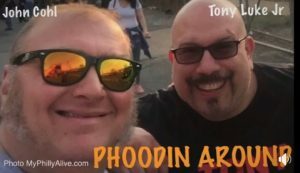 The show is called “Phoodin’ Around” and in every episode, Tony and his pal, J Cohl, will report on a different restaurant or food spot from around the Philadelphia area. Tony is super enthusiastic about our partnership, just as we are! Tony travels a lot, but no matter where he goes, he always loves returning home to Dockside. Tony is a great friend and we love having him here at Dockside. 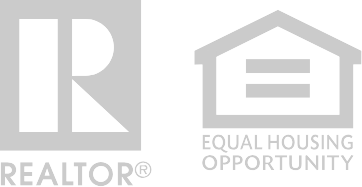 And now, we’re thrilled to be partnering with him to get the word out to more and more people about what a great place Dockside is to live! In the days and weeks ahead, watch for Tony featured in our Dockside marketing and advertising. 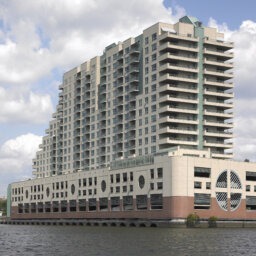 Tony will also be hosting some events live from our Dockside Club Room… so stay tuned for more about that. In the meantime, keep an eye out for Tony’s new show, “Phoodin’ Around.” Follow our social media feeds or Tony’s to keep abreast of his new shows as they’re released. And if you see Tony roaming around our building, in one of his restaurants, or out on the streets of Philadelphia, make sure you thank him for being our new Dockside ambassador!